Spot the difference between a fake smile and a real one. 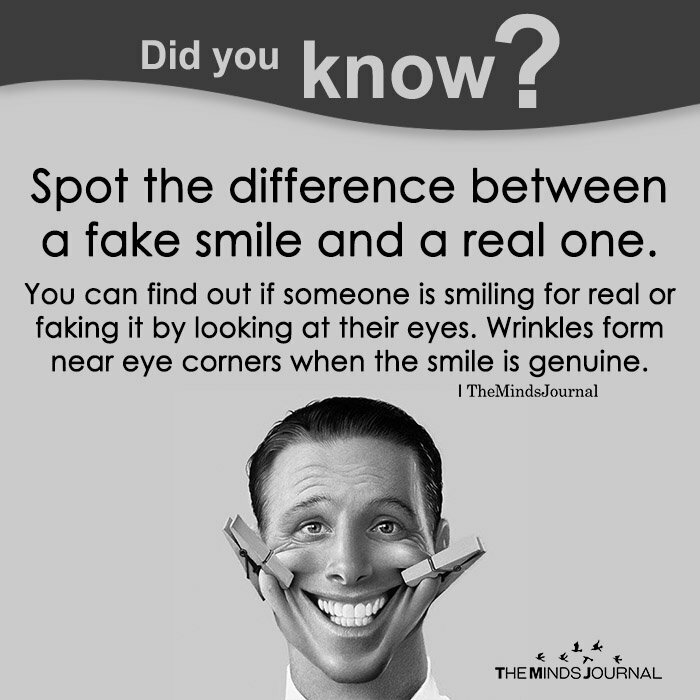 You can find out if someone is smiling for real or faking it by looking at their eyes. Wrinkles form near eye corners when the smile is genuine. Maybe with no outside factors. I’m usually squinting if I’m not wearing sun glasses anyways so good luck telling which smile is fake with this method. Yes is the eye. 1 out of 10 can fake a genuine smile or a Duchenne smile. I don’t have any wrinkles because no one makes me smile. l0l.